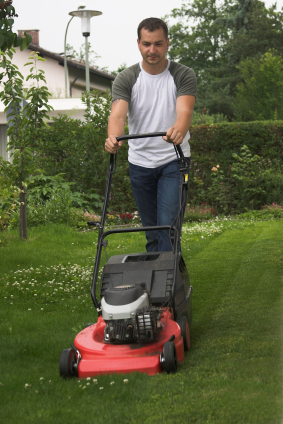 As fuel costs continue to rise and environmental regulations relating to small engines continue to become more restrictive, homeowners are looking for ways to incorporate new technology to care for their lawns. Initially, this movement took the form of electrically powered lawnmowers. While effective, most first generation electric mowers had to use an electrical cord connected to an outlet. This reduced their functionality as well as consumer appeal. Fortunately, with the development of high capacity lithium-ion and sealed lead acid battery technology, electric mowers are now capable of complete stand alone operation, and provide the homeowner with a high level of convenience and performance. Most cordless mowers either use rechargeable 24 or 36 volt electrical systems, allowing the homeowner the ability to mow up to 1/3 of an acre per charge depending on grass height. Mowers that have removable batteries offer additional convenience in that multiple batteries can be used, so when one battery is depleted, a fully charged spare can be used while the first battery is charged. Electrically powered mowers need no engine maintenance such as oil or air filter changes and do not require the storage of flammable gasoline. Since electric mowers do not use internal combustion engines, emissions are negligible and noise is cut roughly in half. In short, they offer a high level of convenience for the not so mechanically talented homeowner. Unfortunately, since cordless mowers are still a rarity, when something does go wrong, it can be difficult to find service. The biggest mistake that a homeowner can make is buy buying based on voltage alone. Higher voltages does not mean a better mower. Often in actual testing 24V models will out cut and outperform 36V or 60V models. It should be noted that run times specified by manufacturers are based on a new battery. As batteries age, they lose storage capacity and will take longer to charge. As a result, the new mower capable of running an hour and recharging overnight may only run for 45 minutes and take a full day to charge after the battery ages. Battery aging is greatly affected by storage and battery maintenance. The battery should not be stored in the off season in a cold garage or outbuilding and should be trickle charged when not in use. Manufacturers have been able to supply a wide variety of options to make cordless lawn mowers competitive with conventional models. Almost every manufacturer offers models that feature bagging and mulching capabilities, and most models have adjustable cutting heights up to over 3 inches with deck widths in the 19 to 24 inch range. All models feature some sort of battery gauge and fault protection in the event the motor enters a fault condition (such as a stall). Unfortunately, the self propelled cordless electric lawnmower is still a thing of legend. Three manufacturers currently stand out as being leaders in area of cordless electric mowers. Neuton, Earthwise and Black and Decker offer a total of 7 models to choose from. The mowers cost in the $350 to $450 price range depending on voltage and features, which is around twice the cost of a comparable gasoline lawnmower. Generally, reviews have been positive for all the mowers tested once the limitations of a rechargeable battery driven device are understood. But it seems the “neatness” factor largely trumps the shortcomings of cordless electric lawnmowers. Your ‘cons’ are easy to refute. 1) Expensive: Battery electrics range in price very comparable to gas powered mowers. That is more true every day as more and more makers enter the market niche. I have a 10 year old Neuton EM 4.1 (current equiv. = CE-5.x) yet I’m not sure I’ll replace it with a Neuton come time to do so. Very good alternatives are more and more numerous every week. The key to price evaluation is matching features and build detail quality. Better cordless electrics are very little if any more expensive than comparable sized and quality gas mowers! 2) Short cutting time: Generally it’s easily comparable to single on-board tank fuel load mow capacity for most gas mowers. More and more models are designed for in use battery pack swapping. Allowing those owners smart enough to get 1 or more spare battery packs to mow for quite a long time, just like the gas mower owners who keep a gas can for the identical purpose! 3) Service can be difficult to find: What service? Unlike combustion motor mowers, cordless electrics require only surface cleaning and blade sharpening, both easily user accomplished tasks! And your ‘Con #3, How many combustion powered mowers will run after being tipped over for the deck cleaning and blade edge access for sharpening? EVERY battery electric is unaffected by it!